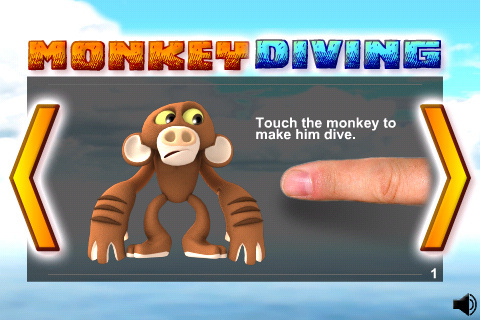 Monkey Diving is simple and yet highly addictive little iOS game. 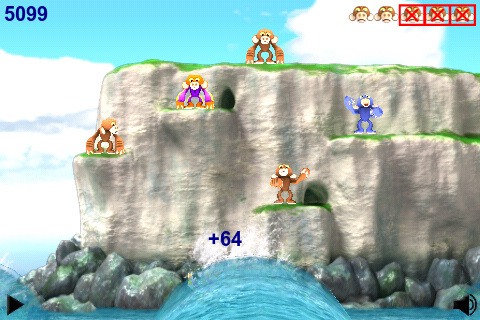 Tap a monkey to make him dive and time your tap so your monkey hits the apex of the wave to gain maximum points. Watch out for the rocks because if your monkey hits his head you lose a life. 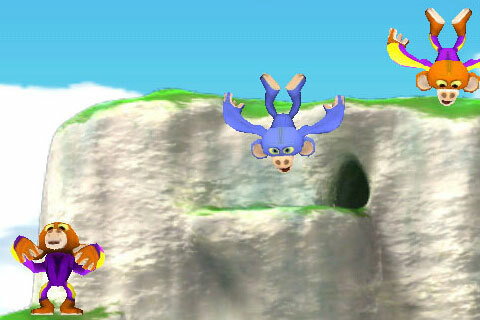 There are 3 types of monkey: Slick monkey, Average monkey and Helium monkey, all with different fall speeds and affected differently by the wind. The game features tilt control to adjust your monkeys fall and of course multi-touch… however releasing two monkeys at once does take some serious skills.